Last year when I first started dieting I became obsessed with wonton wrappers and cooking with them. I found that they are great for portion control but also nice and filling. 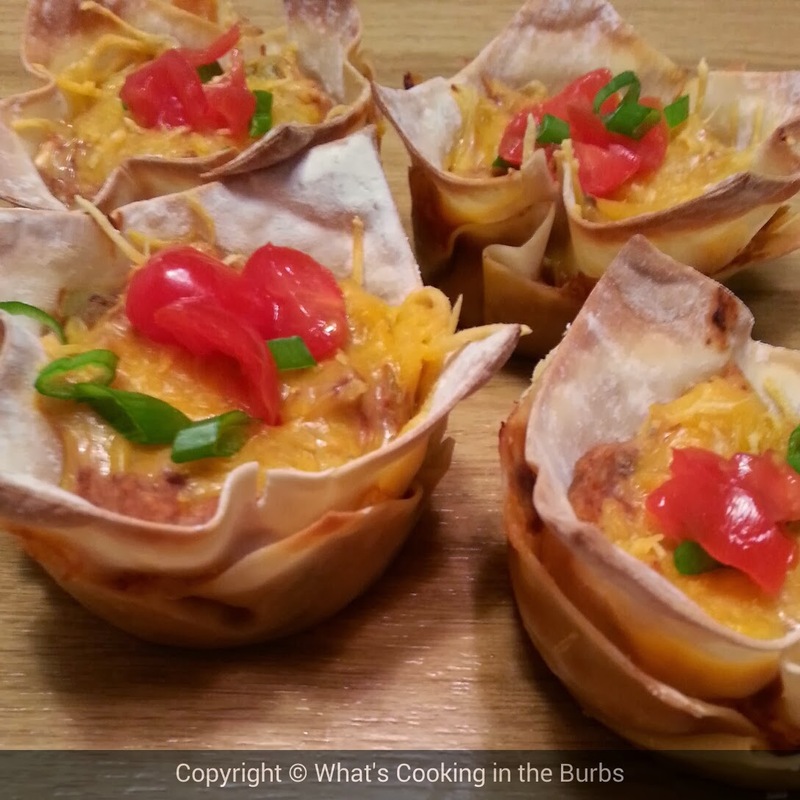 I haven't cooked with them in a while and when I saw the wonton wrappers on sale at the grocery store I decided to pick up a pack and created these yummy taco cups. You can't go wrong with cream cheese and chicken! Serve them with a side of rice and you have a delicious meal! Preheat oven to 375 degrees. Spray 12 muffin cups with cooking spray. Mix together chicken, cream cheese, salsa, beans and garlic powder. Place one wonton wrapper in each muffin cup. Divide half of the chicken mixture between muffin cups. Sprinkle half of the cheese over the chicken. Repeat layers with another wonton wrapper, chicken mixture, and cheese. Bake at 375 for 15 minutes, or until cheese is bubbly and wrappers are golden brown. Serve with your favorite taco toppings. Enjoy!